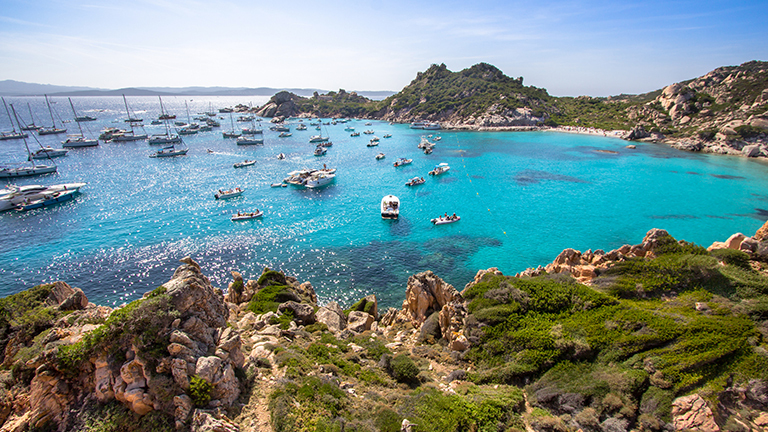 Sardinia is the second-largest island in the Mediterranean and home to the most exclusive beach resort in Italy. 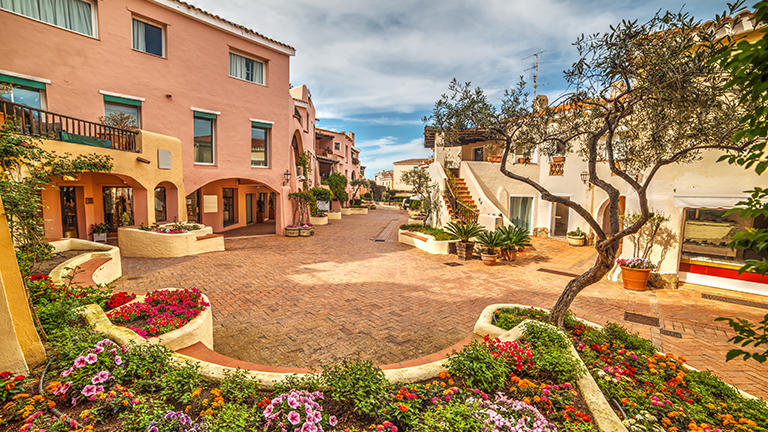 Costa Smeralda is as glamorous as it is expensive. 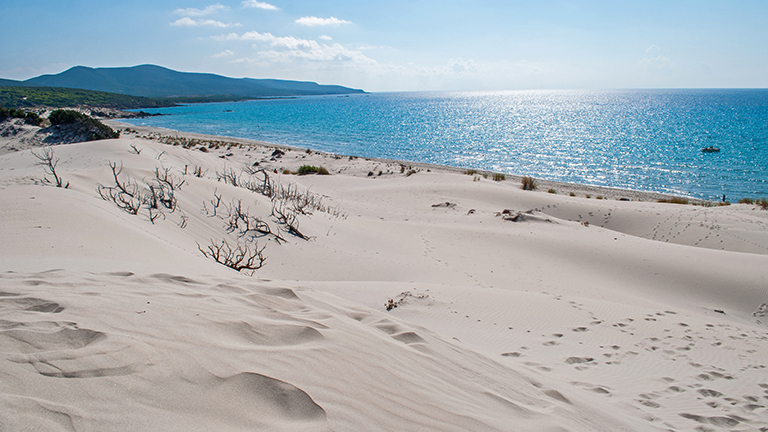 It is also a perfect sailing spot for everyone who wants to explore Sardinia's stunning northeastern shore. 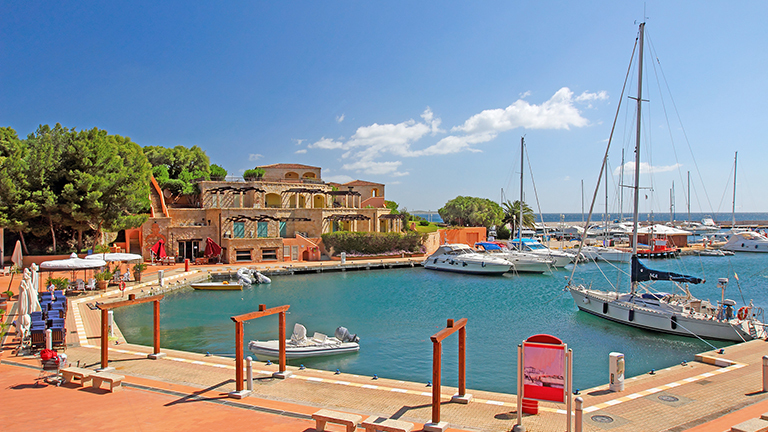 Marinas at Costa Smeralda can get very crowded during summer so book a berth in advance. Yacht charter is available throughout the whole Sardinia. While sailing in the north, you can visit an another country. 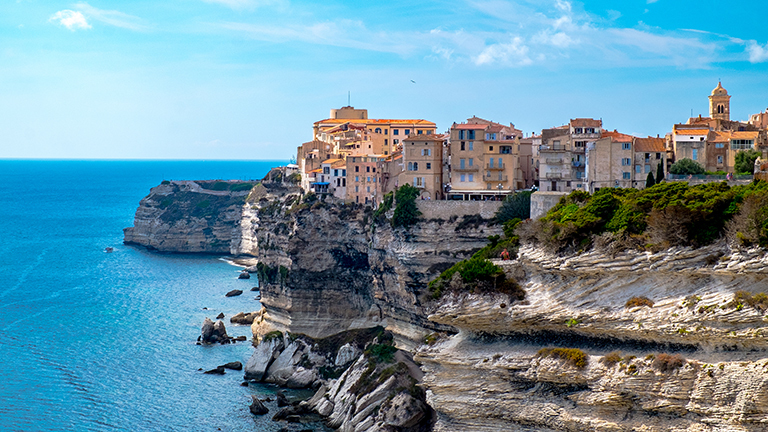 French Corsica lies north, across the Strait of Bonifacio. 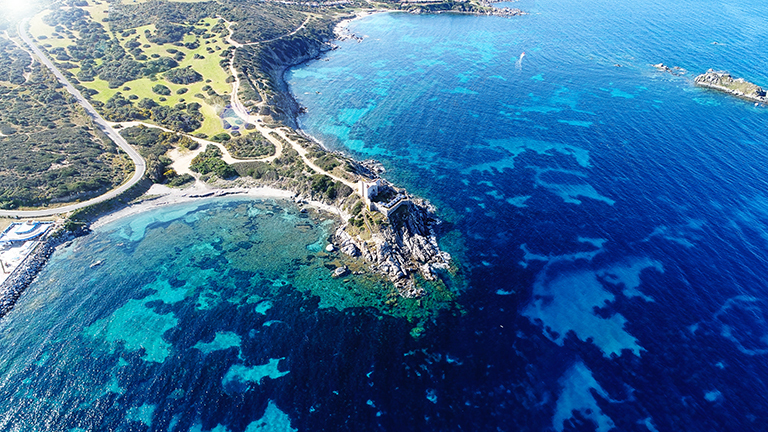 The western and eastern coasts are better suited to experienced sailors, so charter a skippered yacht and get a deeper insight into the diverse Sardinian nature and rich culture. 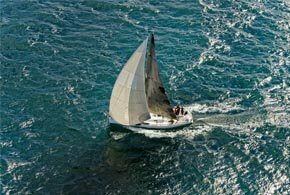 If you're searching for an easy cruise and a quiet holiday, book a bareboat charter on the southern coast. 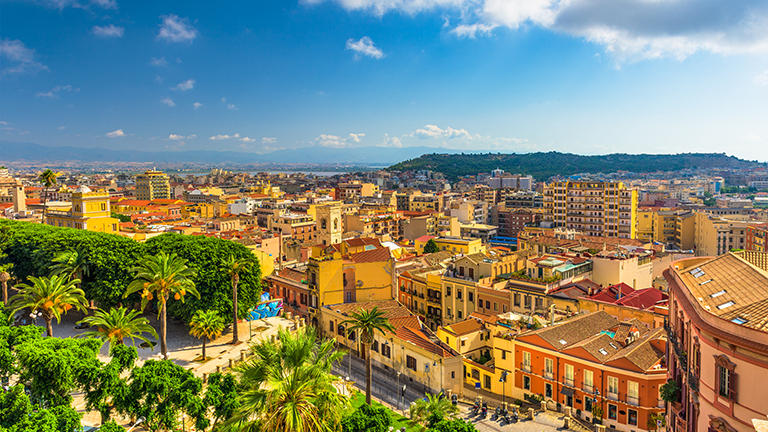 Arrive to Cagliari Airport and head to the Port of Cagliari. 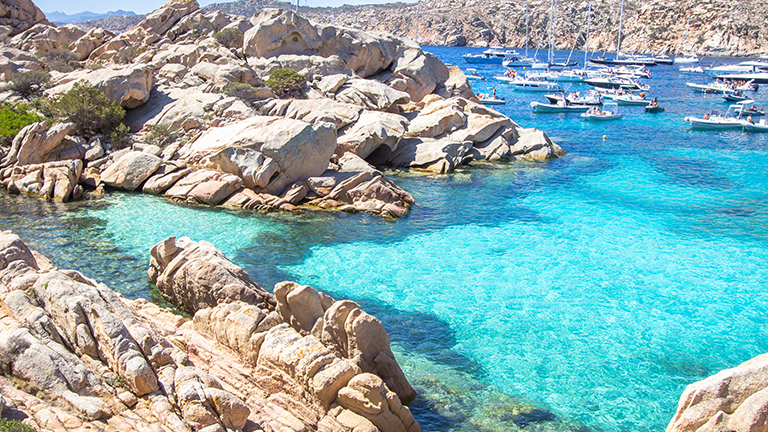 After lunch and check-in, charter a yacht and sail to Villasimius/Crabonaxa located around 20 NM east of the city. Take a swim in crystal-clear sea, bask on the sandy beaches such as Cala Burroni, Cala Caterina, Spiaggia del Riso or Spiaggia di Campulongu, and do not miss an opportunity to see pink flamingos in the Stagno di Notteri lake. Spend the night moored in a marina eating delicious Italian seafood with a glass of fine Italian wine. Start your day with Mediterranean breakfast after which you will raise your sails and embark on a 24 NM long journey to Pula. It is situated on the west side of the Cagliari’s bay and represents a popular holiday resort with beautiful beaches such as Punta d’Agumu and Spiaggia di Nora. Nora is an ancient city which ruins and remains can be seen in the Giovanni Patroni Civic Museum. Visit the aquarium that houses marine species representative of the Laguna di Nora ecosystem. Try authentic Italian pizza for dinner. Lounge on your yacht while you sail to your next stop - Porto Pino - located 28 NM west from Pula. It is an oasis of long family-friendly sandy beaches, crystal-clear sea and picturesque nature. There are restaurants and bars where you can try Italian pasta and coffee while enjoying the fresh Mediterranean air. Go scuba diving, surfing or hiking. More pink flamingos can be seen in the Stagno di Brebéis and Stagno di Maestrale ponds. Take a walk in the evening and listen to the sound of waves. 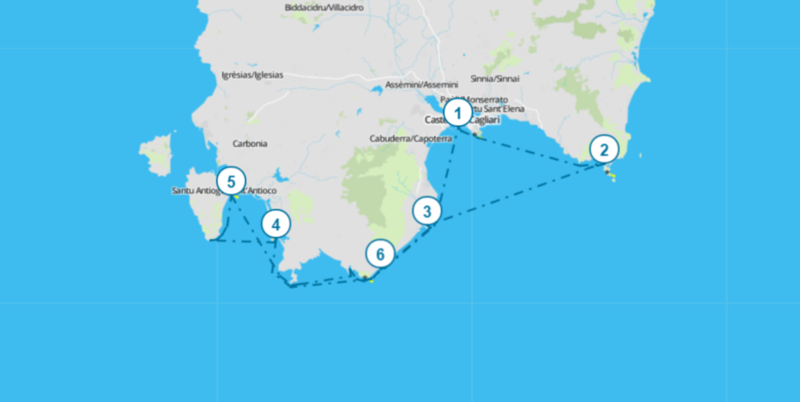 A short 8 NM journey northwest will take you to the island and the municipality of Sant’Antioco. 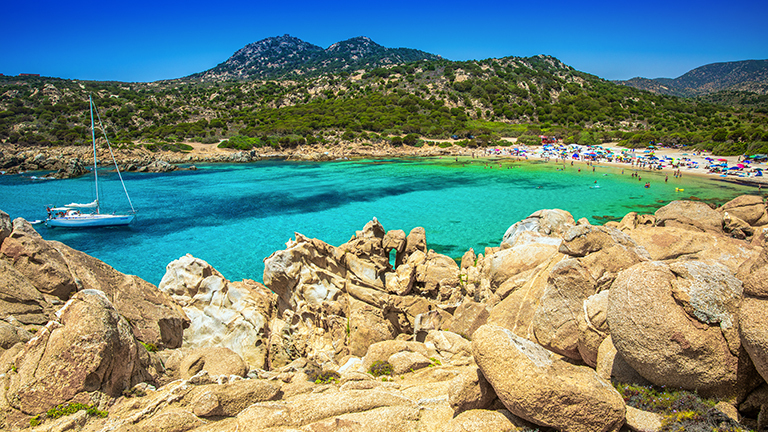 The island is the second largest island of the Sardinian region, right after Sardinia. Spend some time exploring this fishing town’s rich history and delicious cuisine. 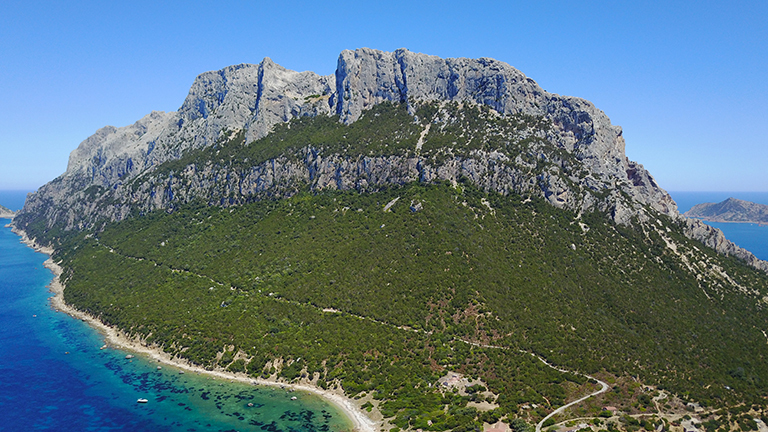 When you feel ready, sail 7 NM towards Capo Sperone on the south of the island. A bit isolated and secluded, it will be perfect for spending a calm afternoon on the beach and in the clear blue sea, and to enjoy a nice view from the hill. Anchor here and spend the night under clear skies. Around 20 NM to the east from Capo Sperone is Capo Malfatano. In the middle of the peninsula, you will see ruins of a tower. 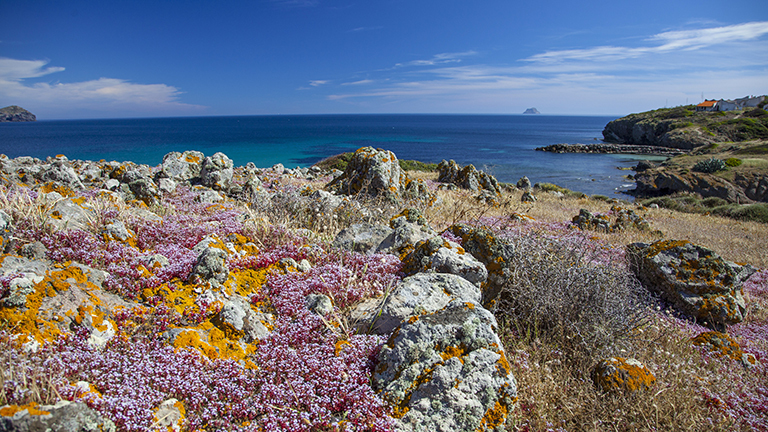 Climb the hill to get a breathtaking view of the Sardinian coastline. Go snorkeling in calm waters and have lunch before going to the Chia Beach located 3-4 NM to the east. Lounge and sunbathe on the long sandy beach and drink cold beverages in a beach club. Anchor here and have a lovely dinner in a town of Chia. In case you want to take another swim, there is a nearby beach in Santa Margherita di Pula on your way to Cagliari, which is 20 NM to the north. Explore the city by visiting tombs Domus de Janas, Tuvixeddu necropolis, the Roman amphitheatre and the well-preserved old medieval town on top of a hill. Go shopping and make sure to conclude your trip with Italian cuisine: fish, risotto, pasta, vegetables and olive oil. Check-out. If your flight is later in the day, feel free to spend more time in the city. When you are ready, take a ride to the airport and travel home safely. Arrive to Olbia Costa Smeralda Airport and head to the Port of Olbia. After check-in, charter a yacht in the afternoon and head to the pristine island of Tavolara (around 8 NM east of the city) while having a beautiful view of the Olbia’s bay. Spend the night moored in a marina eating delicious Italian seafood and watching steep island cliffs. The water around Tavolara is popular for diving, so make sure you do it in the morning. Those prone to walking can take a guided walking tour to the peak of the island which grants you an amazing 360-degrees view of the surroundings. Spalmatore di Terra, a tourist area of Tavolara, has small restaurants to have lunch at after which you will head to the island of Caprera, around 22 NM away. Anchor at one of the bays (Cala Coticcio or Cala Portese) and spend the night. Caprera was named after an Italian word for a goat (capra) because of the numerous wild goats living on it. In the morning, take a swim and sunbathe on Spiaggia del Relitto, a beautiful beach with turquoise water that will leave you breathless. In the middle of the island there is a memorial of one of Italy’s “fathers of the fatherland” - Giuseppe Garibaldi. After lunch on your yacht, continue to relax on one of more secluded beaches - Cala Napoletana, Cala Serena, Cala Andreani or Spiaggia di Cala Coticcio. You will, then, sail towards Bonifacio on Corsica, but be careful of occasional strong winds in the strait between Sardinia and Corsica. Dine in one of Mediterranean restaurants (La Bodega Bonifacio, Trattoria L’ Archivolto or Les Quatre Vents) with great local food. Bonifacio, a harbor naturally protected from winds with surrounding hills, is around 25 NM northwest from Caprera. Take a walk through the town streets, sit for a coffee on sunny cafés’ terraces and have fish for lunch. 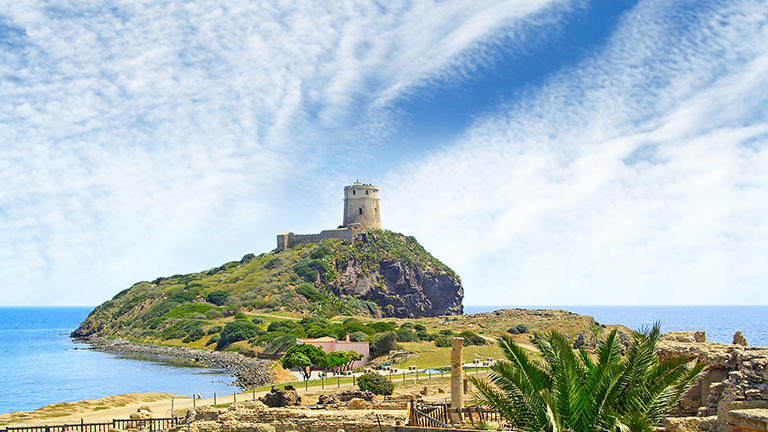 Climb the hills to the Tower of Sant’Amanza and the Tower of Sponsaglia to get a magnificent view of both land and sea, climb down the famous Stairway of the King of Aragon, or get some tan on La Tonnara Beach. In the late afternoon, head to the island of Budelli where you will spend the night anchored on the yacht. The Budelli Island is around 11 NM southeast of Bonifacio. 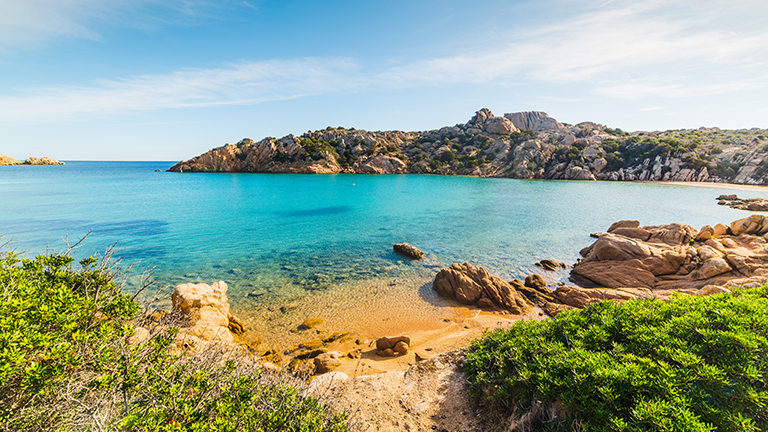 This preserved natural habitat, a part of the La Maddalena National Park, is perfect for spending your free time lounging on one of the most beautiful Mediterranean sandy beaches - Spiaggia Rosa. Both sand and the beach got their names from smashed pink coral. After lunch, sail towards Cala Gavetta, the main port of the island of Maddalena, located around 6 NM from the island of Budelli. 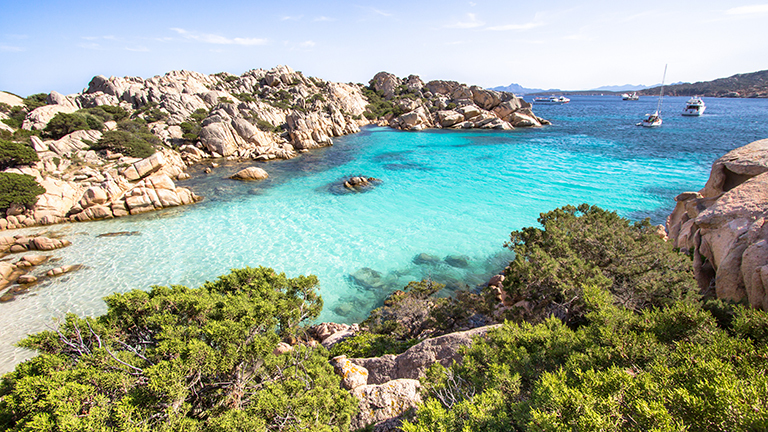 Visit Archipelago di La Maddalena National Park and renowned beaches Spalmatore and Bassa Trinita. There are a lot of recreational facilities and attractions, from old authentic buildings to luxurious hotels. Have dinner in a restaurant or a pizzeria, and spend the night in the port. 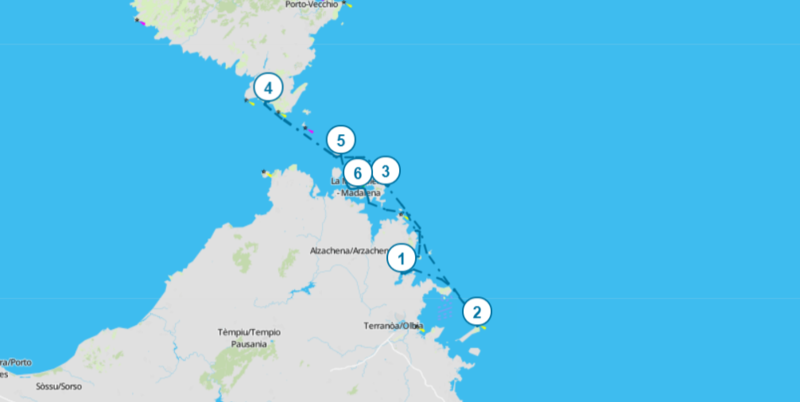 After morning coffee in town or on the yacht, head towards the island of Soffi located around 15 NM southeast. The island has crystal-clear water and soft white sand, perfect for another day spent soaking up the sun on the beach. When you had enough, Portisco is only 3 NM away. 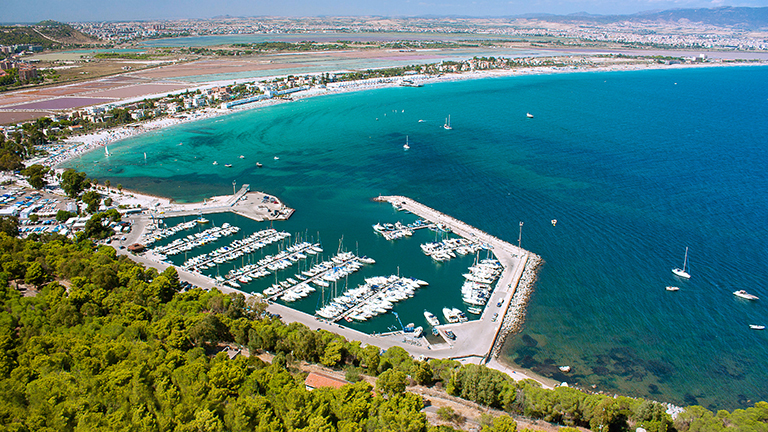 It is a natural harbor town sheltered from the Mediterranean currents and winds, and equipped with all marina facilities. Spend some time shopping for souvenirs and local delicacies. Enjoy your last night in relaxed atmosphere having pasta or fish for dinner with a glass of quality Italian wine. It is time to take a 15 NM long trip and come back to your starting destination - Olbia. After a check-out, you can visit its colorful historic centre and see a romanesque former cathedral of San Simplicio and a National Archaeology Museum, or do some more shopping in lovely boutiques. Finish your journey having lunch one of trattorias eating traditional Italian specialities. Take a ride to the airport and travel home safely. 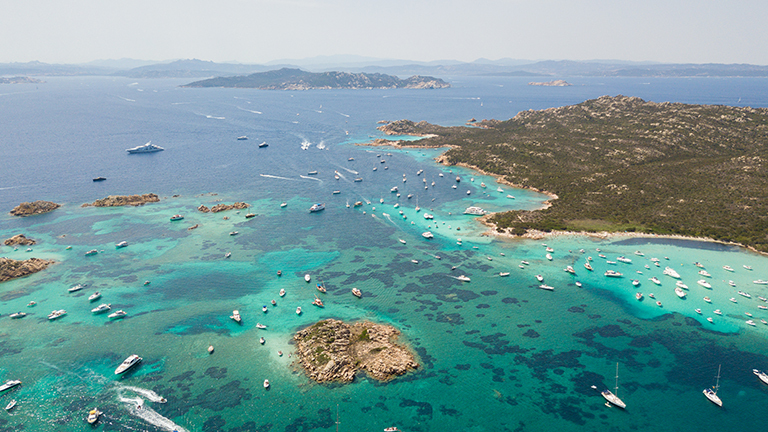 Arrive to Olbia Costa Smeralda Airport early afternoon and take a bus or taxi ride to Portisco. It is a natural harbor town sheltered from the Mediterranean currents and winds, and equipped with all marina facilities. 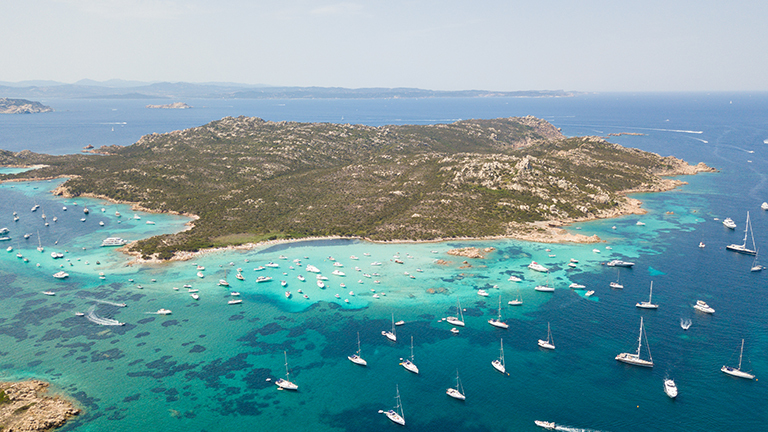 After check-in, charter a yacht and head to the pristine island of Tavolara (around 13 NM southeast of the town) while having a beautiful view of the Olbia’s bay. Spend the night moored in a marina eating delicious Italian seafood and watching steep island cliffs. After lunch on your yacht, continue to relax on one of more secluded beaches - Cala Napoletana, Cala Serena, Cala Andreani or Spiaggia di Cala Coticcio. You will, then, sail towards Bonifacio on Corsica, but be careful of occasional strong winds in the strait between Sardinia and Corsica. Dine in one of Mediterranean restaurants with great local food. After lunch, sail towards Cala Gavetta, the main port of the island of Maddalena, located around 6 NM from the island of Budelli. There are a lot of recreational facilities and attractions, from old authentic buildings to luxurious hotels. Have dinner in a restaurant or a pizzeria, and spend the night in the port. 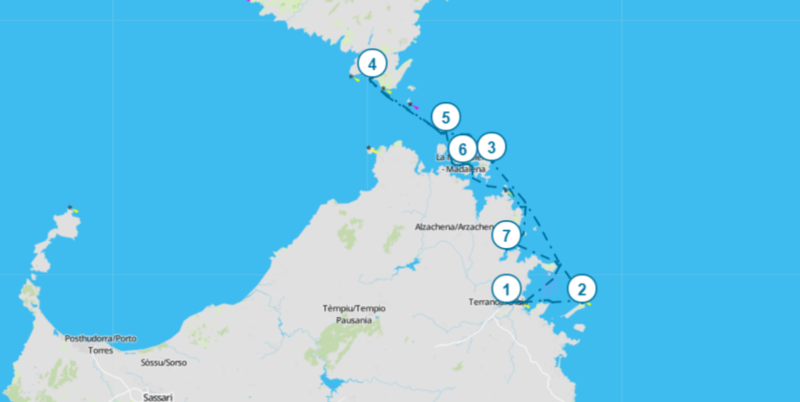 After morning coffee in town or on the yacht, head towards the island of Soffi located around 15 NM southeast. The island has crystal-clear water and soft white sand, perfect for another day spent soaking up the sun on the beach. When you had enough, Portisco is only 3 NM away. Spend some time shopping for souvenirs and local delicacies. Enjoy your last night in relaxed atmosphere having pasta or fish for dinner with a glass of quality Italian wine. 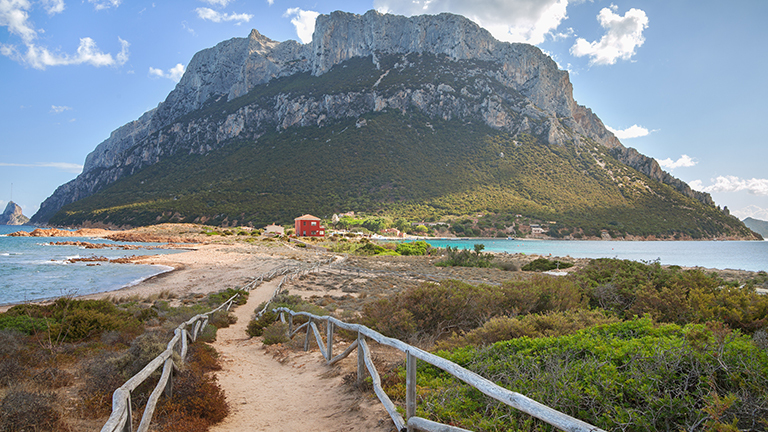 If your flight is in the afternoon or evening, you will have time to explore Olbia. 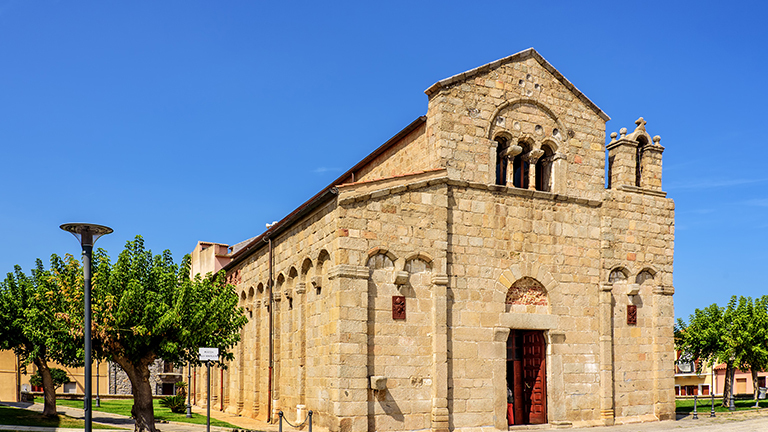 Take a bus or taxi ride from Portisco and visit Olbia’s colorful historic centre and see a romanesque former cathedral of San Simplicio and a National Archaeology Museum, or do some more shopping in lovely boutiques. Finish your journey having lunch one of trattorias eating traditional Italian specialities. Then take a ride to the airport and travel home safely. Interested in Sailing Holiday in Sardinia?